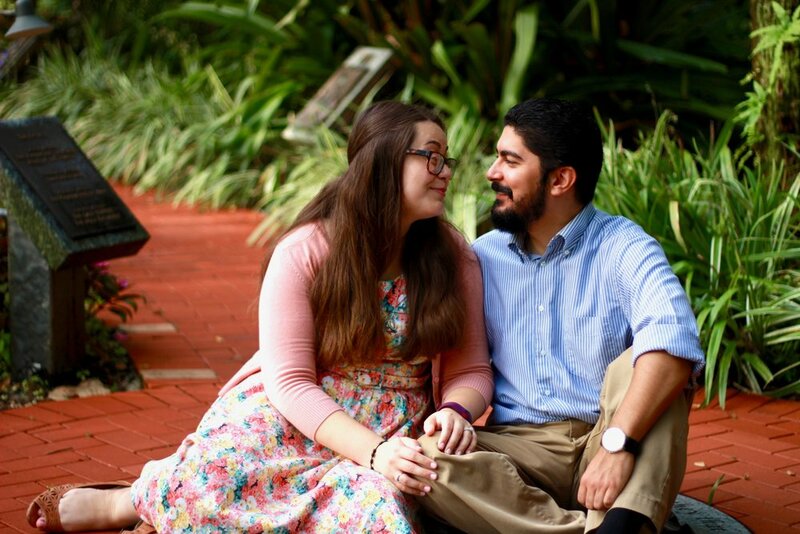 Annie and Kelvin met in the summer of 2015 at their parish's young adult group. Annie was about to start her senior year at the University of Miami, and being home for the summer, desired to find a Catholic community to get involved with while away from her campus ministry. Kelvin was working as a mechanical engineer and had been attending this group for a few years. Sharing an interest in learning about and discussing the Catholic faith, Annie and Kelvin became friendly acquaintances. After getting to know one another throughout the summer, when the time came for Annie to return to school, Kelvin asked for her number so that they could stay in touch. Throughout the school year, Annie and Kelvin's friendship deepened until it was clear the Lord was calling them to marry one another. In Annie's words: I knew there was something unspoken between us, but I wanted Kelvin to make the first move. I didn't know if we would make a good match due to our personality differences, since I am very extroverted and Kelvin appeared to be quiet, serious, and introspective. I quickly became impatient with the pace of our developing friendship, wanting things to progress faster, so I had to constantly remind myself that if this was the Lord's will, it would happen in His time. After ten months of friendship, we entered into an exclusive dating relationship and eventually began discussing marriage. 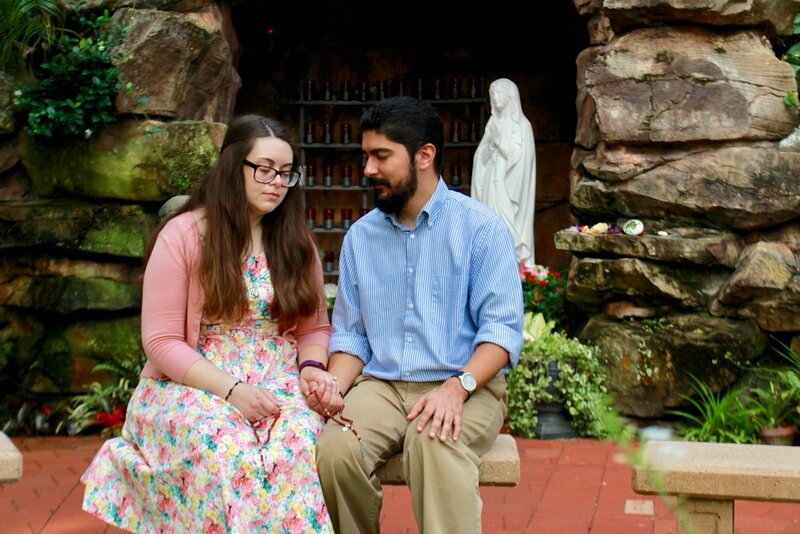 Fast forward eleven months to March 25th, 2017, the solemnity of the Annunciation: we were kneeling before Jesus present in the Blessed Sacrament at an adoration chapel, and Kelvin proposed, asking me to be his "beloved, betrothed, and wife." Through tears of absolute joy, I said YES! 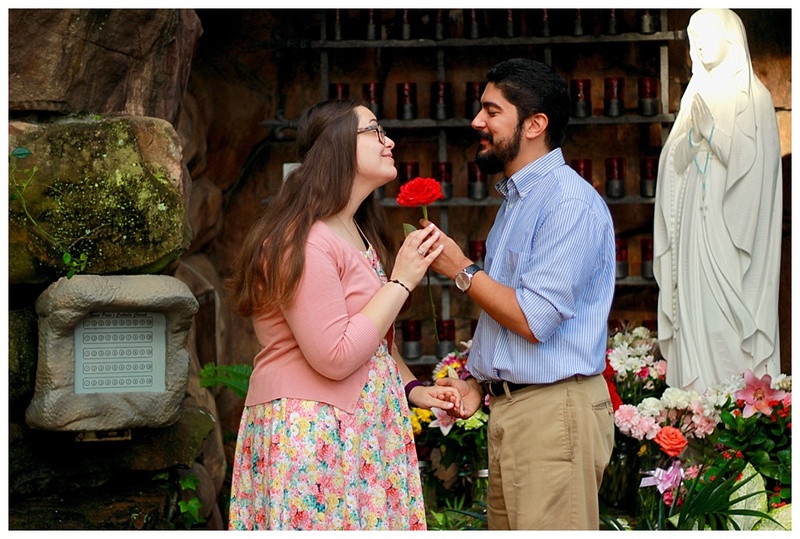 We decided to do a betrothal ceremony after reading about it online, and I'm so glad we did. 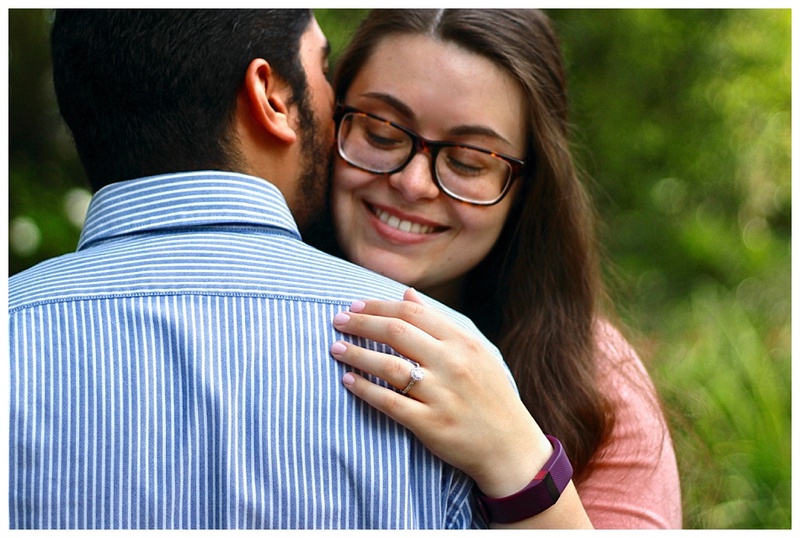 It was more than a blessing of the engagement--it was a solemn vow to love the other with a self-sacrificial love, like Jesus, and keep the upcoming sacrament of Matrimony as the focus of the engagement. 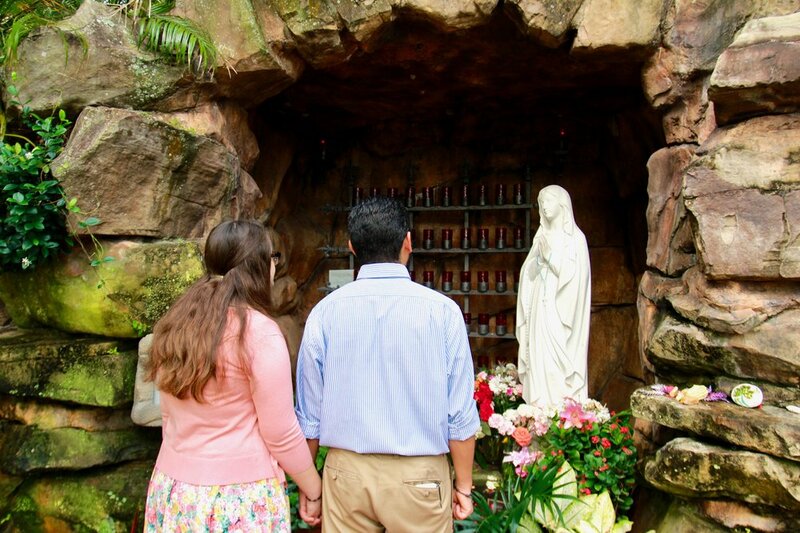 We had already decided we wanted all major milestones in their relationship to be centered around Marian feast days, due to our devotion to Our Lady, so our Betrothal Ceremony was on May 13th, 2017 - the 100th Anniversary of the apparition of Our Lady of Fatima! We invited close friends, family, and the wedding party. The ceremony was celebrated by Kelvin's spiritual director, a retired priest of the Diocese of Palm Beach, Father Brian Flanagan, and was followed by a Mass celebrating the Feast of Our Lady of Fatima. It was definitely an interesting experience inviting people and talking about the Betrothal Ceremony. The most popular response was, "I've never been to one." My favorite response to that was, "Neither have I!" This was a new and beautiful experience for both Kelvin and I, and our guests. The most exciting part was the witness we were giving to authentic love, and putting Christ at the center of our relationship. 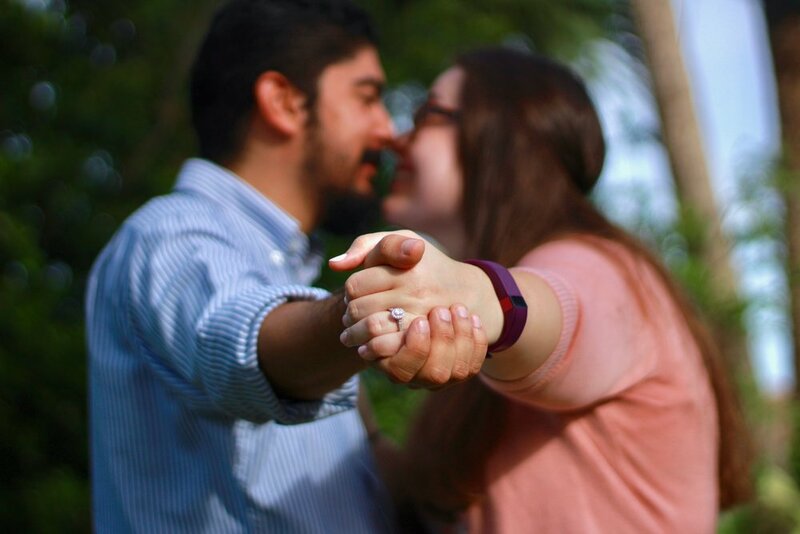 We didn't want to make our engagement and wedding planning about ourselves and all the fancy things, but the fact that the Lord has called us to go outside of ourselves, and lay down our lives for the other in the sacrament of Matrimony. Annie and Kelvin will be married on October 7th, 2017 at the same church where they met.